Parents, join us as a Volunteer one hour earlier. writing and telling “scary” stories. Friends of Brook Park, as part of the South Bronx Unite coalition was at this important meeting at City Hall. We are grateful to the Mayor and lo0ok forward to him addressing the concerns raised directly with him, in person, live and direct! The battle for our community continues as South Bronx Unite members, including Welcome2TheBronx, met with Mayor Bill de Blasio and New York City Council Speaker, Melissa Mark-Viverito as well as senior members of New York City’s Economic Development Corporation. 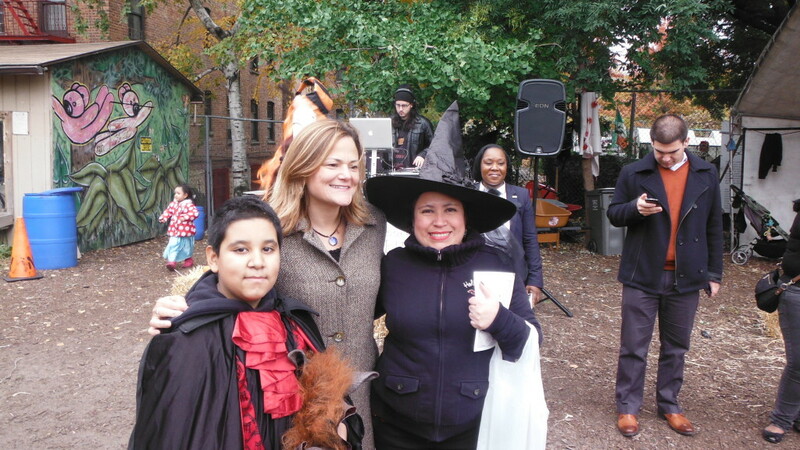 Last week, members of South Bronx Unite met with Mayor Bill de Blasio, Speaker Melissa Mark-Viverito and senior members of the city’s Economic Development Corporation to discuss the environmental and health crisis in the South Bronx. The neighborhood, surrounded by an 850 acre industrial area and three highways, suffers from asthma rates eight times the national average, and such disproportionate rates of respiratory illness were cited last month as among the causes of the deadly Legionnaire’s outbreak that claimed 12 lives and infected over 100. Within the last month alone, residents of the over-industrialized nabe have been challenging the re-permitting of two fossil fuel power plants (with routine violations of emission levels) and the expansion of a 3,000 ton per day waste transfer facility (also with routine permit violations). Meeting participants addressed the nearly four year fight against the proposed relocation of FreshDirect, a company which stands to add upwards of 1,000 additional diesel truck trips through the neighborhood every day. 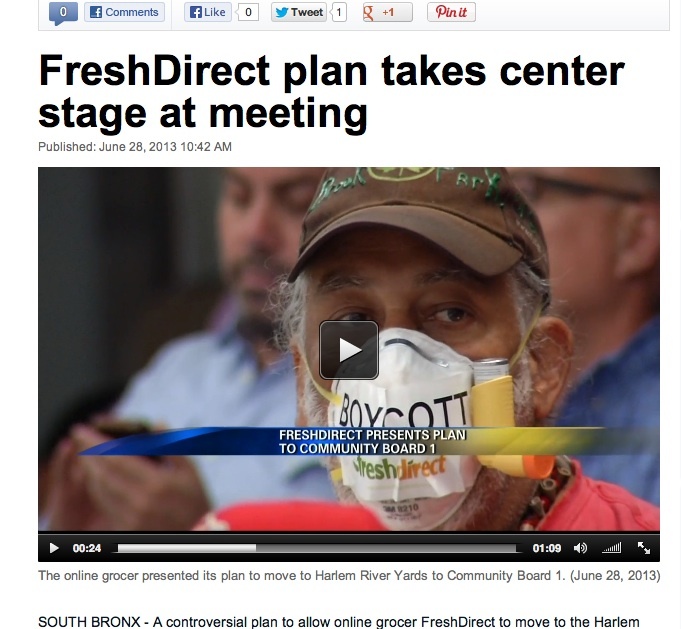 “You know that the Speaker and I did not want the FreshDirect project to go forward,” said the Mayor during the meeting. He and his team took notes on the health and environmental impact of the proposed project (which relied on a 21 year old environmental impact statement) as well as the substantial changes the project has undergone since the subsidy approval was passed, potentially triggering the need for a new inducement resolution from the NYC Industrial Development Agency. “We told the Mayor that while he was telling us he was against the project, Deputy Mayor Alicia Glen was having private email conversations with FreshDirect lobbyists promising support for the $140 million subsidy if the company could deliver on living wage jobs, but more than half of FreshDirect’s workforce remains below living wage,” said Harry Bubbins, Director of Friends of Brook Park and member of South Bronx Unite. The group also presented the breadth of projects for which the community has been advocating to change the tale of two cities, including the Mott Haven-Port Morris Waterfront Plan, comprised of seven interconnected waterfront projects. The project has already received draft priority status by the State Department of Environmental Conservation Open Space Committee Region 2 (pending approval by Governor Cuomo), and two of the projects have been taken up by New York Restoration Project as part of its Haven Project. Another project of the group presented to the Mayor is the Mott Haven-Port Morris Community Land Trust, a dynamic vehicle owned and controlled by the community to acquire vacant city-owned property to provide space for displaced community organizations as well as affordable housing. The group ended the meeting by also imploring the administration to establish a long-term partnership with the community to address the South Bronx environmental and health crisis – from enacting a change in policy that allows routine siting of industrial and diesel truck intensive facilities in environmental justice communities without thorough environmental review – to a reduction of the South Bronx’s disproportionately large maritime industrial area – to heightened enforcement of the recurring violations of designated truck routes, among other areas. Come visit us, see what we are growing and learn about out mission to build a healthy, happy, socially engaged community. Please bring food and water, your family and friends and come hang out in our beautiful garden, farm, park. Youth are always welcome! And for any interested regular volunteers out there, opportunities are still available! For those of you new to Friends of Brook Park, we’re on a mission to build a healthy, happy, socially engaged community. We know that growing your own food is rated as one of the top 5 things you can do to improve your well-being and nourish your body. Over the years we’re transforming a .75 acre vacant lot into a vibrant hub, hosting workshops and events all centered around health, wellness and urban agriculture. We hope you’ll join us! 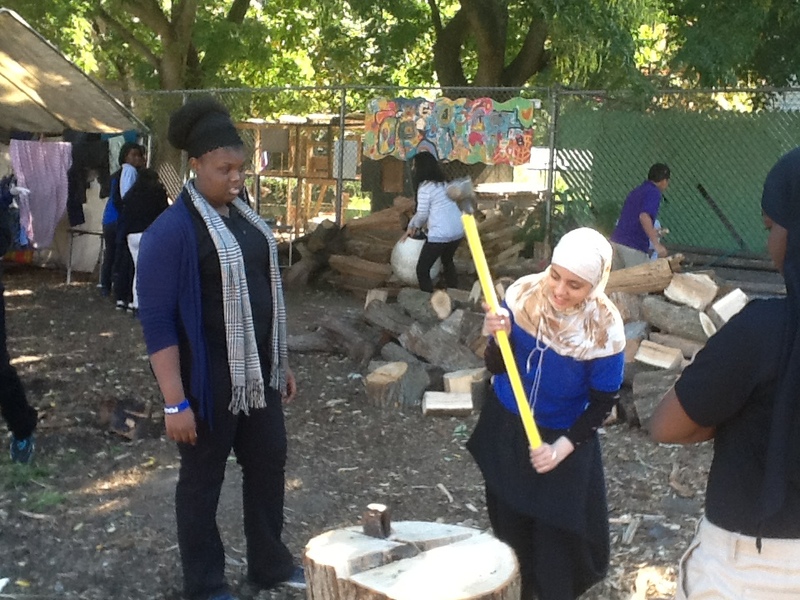 Volunteering with Friends of Brook Park green team crew is a wonderful way to support the work that we do while experiencing the magic of growing food and experiencing Nature in the South Bronx. We welcome all levels of gardening experience. The only requirements are an observant mind, a curious spirit, a love of dirty hands, and a willingness to work in rain or shine. All hands on deck! 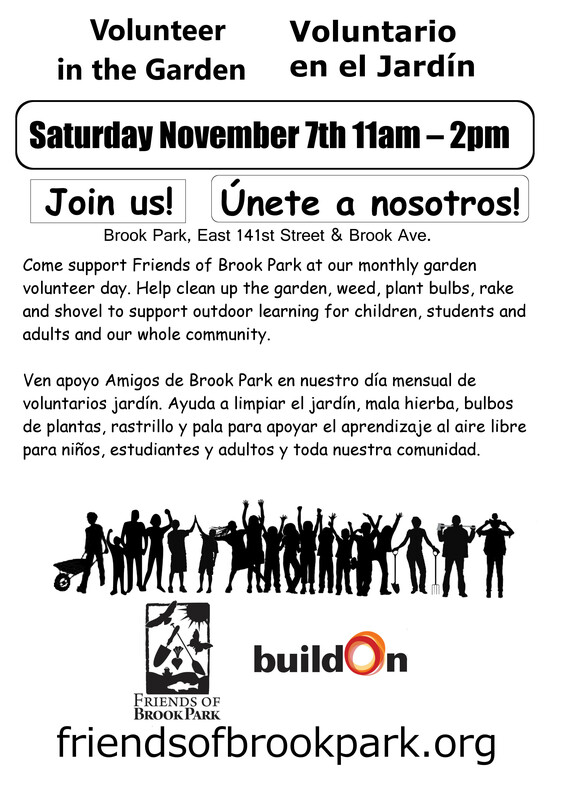 Come support Friends of Brook Park at our monthly garden volunteer day. Help clean up the garden, weed, plant bulbs, rake and shovel to support outdoor learning for children, students and adults and our whole community. Seeking people to be at our sign-in table that day for one hour shifts, let us know if you can help that way too! Email us to let us know. You can take a whole bunch of kale in thanks!